You remember my nursery inspiration board right? Well...now I want to add this to the mix. 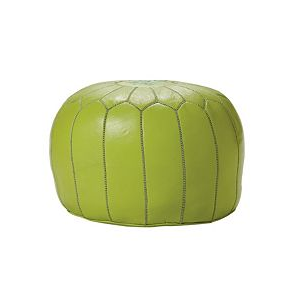 A Moroccan Leather Pouf in Lime Green from Serena and Lily. The only problem is...the $395 price tag! Any ideas for a similar item? KK - so glad to reconnect with you! I am going to follow your blog(s) but which one?!?! 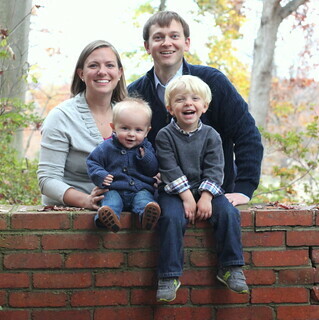 I had no idea you were in the blogging world let alone had 3! p.s. Making my own pouf would require start sewing, a hobby I have been longing to pick up...but alas, a calligraphy business, paper obsession, and baby all in 650 sq. feet does not allow room for a sewing hobby as well! i soooo want a pouf in the worst way but yes, the price tag has steered me away too. chulamama sells zid zid ones that are not as much... but you can find ones on etsy already done that aren't as much either (i've done my share of pouf-scouting!). one of the etsy ones is actually crocheted which is kind of cool too. ok. just came back to see the comments. :) i don't blog much. the travel one is only when i'm overeseas, and the other, well, is a little neglected. i'm working on cutting out a pouf for our place today. i'll get a photo when i finish it- it's not as cute as the one you found, but for less than $10, it'll definitely suffice in our living room!